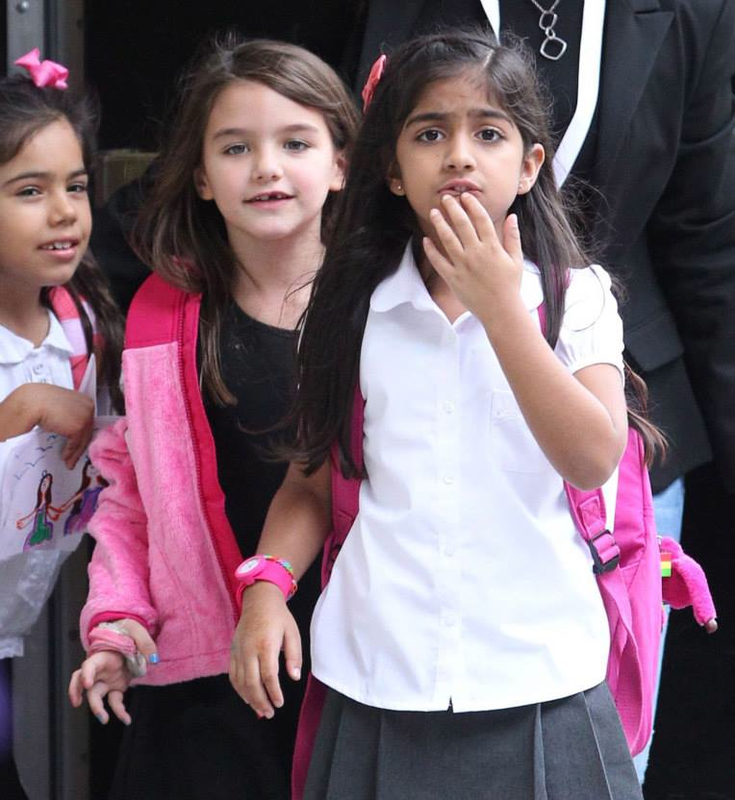 Suri and her friends was seen leaving their school in NYC on Friday, October 11th 2013. Suri is wearing Amber dress ($356) from F/W 2013 Collection by Pale Cloud (she first wore on October 2nd 2013), Oso Hoodie in pink ($99) by The North Face (she first wore on October 9th 2013), Riding Boots ($55) by Gap Kids (she first wore on October 10th, 2013) and carrying the Fairy Backpack by Monsoon (first seen on September 13th, 2013). wow...lovely. amazing amber dress i like it. Really all the collection are amazing and beautiful and colour combination is so good thanks for sharing such a nice post. I cant wait to have a baby so i can dress them in all these cute clothes! Keep up the awesome posts.